Now truth be told – I am in awe of Anselm Kiefer. I have traveled far and wide to see his artworks in person and his emissions have yet to disappoint. While art critics have their way of putting into words what Kiefer accomplishes, I prefer to no reduce it to labels as it has a profound effect on me that transcends stylistic categories. Kiefer works with a myriad of materials and media and often incorporates texts and words into his artworks. While this is common practice, him writing per se is not a common occurrence as he focuses more on literally carving out poetry in physical manifestations. 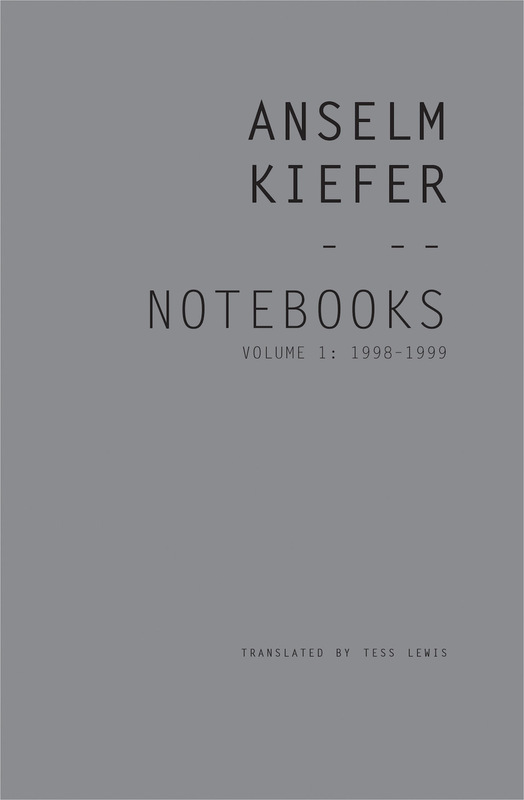 The nearly 400 pages of his Notebooks (Volume 1: 1998-1999), offer unique, personal insights on Anselm’s thoughts, reflections, work processes but also mundane day-today occurrences in an open form stream-of-consciousness manner, peppered with digressive interludes galore and coloured by Kiefer’s faible for contradictions and alienation as he prefers to write in the second person to create distance for himself and the reader. Kiefer’s notes are pervaded by honesty and openness, which creates a sense of intimacy and serves as an antipode to the Unnahbarkeit of his art. While translating personal notes into a foreign language always bears the risk of meaning getting lost in the transition, the translator Tess Davies aligns with Kiefer’s style and the result is masterfully annotated which culminates in a cohesive whole rather than fractioned entries. I’d recommend this book to anyone interested in Anselm Kiefer as it is a meaningful extension and addition that adds a new dimension to his oeuvre and creative process and the way Kiefer values and uses language as a medium.